Oliver, J. C. (2007). Population, phylogenetic, and coalescent analyses of character evolution in gossamer-winged butterflies (Lepidoptera: Lycaenidae). . ProQuest. Clement, W. L., Prudic, K. L., & Oliver, J. C. (2018). Exploring how climate will impact plant-insect distributions and interactions using open data and informatics. Teaching Issues and Experiments in Ecology , 14. Dupuis, J. R., Oliver, J. C., Brunet, B., Longcore, T., Johnson, J. J., & Sperling, F. (2018). Genomic data indicate ubiquitous evolutionary distinctiveness among populations of California metalmark butterflies. Conservation Genetics . Lichter-Marck, I. H., Wylde, M., Aaron, E., Oliver, J. C., & Singer, M. S. (2015). The struggle for safety: effectiveness of caterpillar defenses against bird predation. Oikos , 124(4), 525--533. Schachat, S. R., Oliver, J. C., & Monteiro, A. (2015). Nymphalid eyespots are co-opted to novel wing locations following a similar pattern in independent lineages. BMC Evolutionary Biology , 15(1), 20. Miadlikowska, J., Kauff, F., Högnabba, F., Oliver, J. C., Molnár, K., Fraker, E., Gaya, E., Hafellner, J., Hofstetter, V., Gueidan, C., & others, . (2014). A multigene phylogenetic synthesis for the class Lecanoromycetes (Ascomycota): 1307 fungi representing 1139 infrageneric taxa, 317 genera and 66 families. Molecular Phylogenetics and Evolution , 79, 132-168. Oliver, J. C., Beaulieu, J. M., Gall, L. F., Piel, W. H., & Monteiro, A. (2014). Nymphalid eyespot serial homologues originate as a few individualized modules. Proceedings of the Royal Society B: Biological Sciences , 281(1787), 20133262. Beaulieu, J. M., Oliver, J. C., O’Meara, B., & Beaulieu, M. J. (2013). Package ‘corHMM’. Monteiro, A., Chen, B., Ramos, D. M., Oliver, J. C., Tong, X., Guo, M., WANG, W., Fazzino, L., & Kamal, F. (2013). Distal-Less Regulates Eyespot Patterns and Melanization in Bicyclus Butterflies. Journal of Experimental Zoology Part B: Molecular and Developmental Evolution , 320(5), 321--331. Oliver, J. C. (2013). Microevolutionary processes generate phylogenomic discordance at ancient divergences. Evolution , 67(6), 1823--1830. Oliver, J. C., Ramos, D., Prudic, K. L., & Monteiro, A. (2013). Temporal Gene Expression Variation Associated with Eyespot Size Plasticity in Bicyclus anynana. PLOS ONE , 8(6), e65830. Tokita, C. K., Oliver, J. C., & Monteiro, A. (2013). A Survey of Eyespot Sexual Dimorphism across Nymphalid Butterflies. International Journal of Evolutionary Biology , 2013. Oliver, J. C., Tong, X., Gall, L. F., Piel, W. H., & Monteiro, A. (2012). A Single Origin for Nymphalid Butterfly Eyespots Followed by Widespread Loss of Associated Gene Expression. PLoS Genetics , 8(8), e1002893. Dornburg, A., Beaulieu, J. M., Oliver, J. C., & Near, T. J. (2011). Integrating fossil preservation biases in the selection of calibrations for molecular divergence time estimation. Systematic biology , 60(4), 519--527. Oliver, J. C., & Monteiro, A. (2011). On the origins of sexual dimorphism in butterflies. Proceedings of the Royal Society B: Biological Sciences , 278(1714), 1981--1988. Oliver, J. C., & Stein, L. R. (2011). Evolution of influence: signaling in a lycaenid-ant interaction. Evolutionary Ecology , 25(6), 1205--1216. Wolfe, J. M., Oliver, J. C., & Monteiro, A. (2011). Evolutionary reduction of the first thoracic limb in butterflies. Journal of Insect Science , 11(1), 66. Oliver, J. C., & Prudic, K. L. (2010). Are mimics monophyletic? The necessity of phylogenetic hypothesis tests in character evolution. BMC evolutionary biology , 10(1), 239. Oliver, J. C., Robertson, K. A., & Monteiro, A. (2009). Accommodating natural and sexual selection in butterfly wing pattern evolution. Proceedings of the Royal Society B: Biological Sciences , 276(1666), 2369--2375. Oliver, J. C. (2008). AUGIST: inferring species trees while accommodating gene tree uncertainty. Bioinformatics , 24(24), 2932--2933. Prudic, K. L., & Oliver, J. C. (2008). Once a Batesian mimic, not always a Batesian mimic: mimic reverts back to ancestral phenotype when the model is absent. Proceedings of the Royal Society B: Biological Sciences , 275(1639), 1125--1132. OLIVER, J. C., & SHAPIRO, A. M. (2007). Genetic isolation and cryptic variation within the Lycaena xanthoides species group (Lepidoptera: Lycaenidae). Molecular ecology , 16(20), 4308--4320. Oliver, J. C., Prudic, K., & Pauly, G. (2007). Parasitism rates in larval Lycaena xanthoides (Godart) (Lepidoptera: Lycaenidae) and a new host record for Cotesia theclae (Riley) (Hymenoptera: Braconidae). Pan-Pacific Entomologist , 83(3), 262-264. Prudic, K. L., Oliver, J. C., & Sperling, F. A. (2007). The signal environment is more important than diet or chemical specialization in the evolution of warning coloration. Proceedings of the National Academy of Sciences , 104(49), 19381--19386. C Oliver, J. (2006). Population genetic effects of human-mediated plant range expansions on native phytophagous insects. Oikos , 112(2), 456-463. Oliver, J., Prudic, K., & Collinge, S. (2006). Boulder County Open Space butterfly diversity and abundance. Ecology , 87(4), 1066--1066. Prudic, K. L., Oliver, J. C., & Bowers, M. D. (2005). Soil nutrient effects on oviposition preference, larval performance, and chemical defense of a specialist insect herbivore. Oecologia , 143(4), 578--587. Bradley Shaffer, H., Fellers, G., Randal Voss, S., Oliver, J., & Pauly, G. B. (2004). Species boundaries, phylogeography and conservation genetics of the red-legged frog (Rana aurora/draytonii) complex. Molecular Ecology , 13(9), 2667--2677. Shaffer, H. B., Pauly, G. B., Oliver, J. C., & Trenham, P. C. (2004). The molecular phylogenetics of endangerment: cryptic variation and historical phylogeography of the California tiger salamander, Ambystoma californiense. Molecular Ecology , 13(10), 3033--3049. Collinge, S. K., Prudic, K. L., & Oliver, J. C. (2003). Effects of local habitat characteristics and landscape context on grassland butterfly diversity. Conservation Biology , 17(1), 178--187. Voss, S., Prudic, K., Oliver, J., & Shaffer, H. (2003). Candidate gene analysis of metamorphic timing in ambystomatid salamanders. Molecular Ecology , 12(5), 1217--1223. Oliver, J., Tong, X., Gall, L., Piel, W., & Monteiro, A. (2013). A single origin for nymphalid butterfly eyespots followed by widespread loss of associated gene expression. In INTEGRATIVE AND COMPARATIVE BIOLOGY , 53. Nichols, J. T., & Oliver, J. C. (2018, October). Sustaining communities of practice in digital scholarship and data science . DLF Forum. Las Vegas, Nevada. O'Meara, E., Nichols, J. T., & Oliver, J. C. (2018, Spring). Encouraging Convergence in the Libraries: Intersections of Data Science and Digital Humanities through Grassroots Collaboration . Coalition for Networked Information Spring Membership Meeting. San Diego, California. As scholars embark on new modes of scholarship, they are driving a demand for new skills and services. These new skills are increasingly digital, requiring expertise in areas not “traditionally” considered in the library wheelhouse, like data mining, textual analysis, spatial analysis, visualization, or 3D modeling. 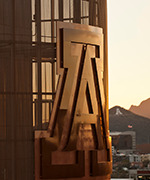 At the University of Arizona Libraries, we are hiring experts and partnering with campus units to develop services and position the libraries as the natural hub for digital scholarship and data science. In marrying these traditionally separate domains, we are enabling outreach and support across all disciplines, and facilitating training based on skills and tools to reach broad audiences. For example, we provide workshops and drop-in assistance with R programming, geospatial data, virtual reality content development, data management, and multimodal publishing, seeking to continually iterate on the content provided. This presentation will discuss how we work with faculty across STEM, humanities, and social sciences to integrate digital scholarship support into the curriculum, and our collaboration with CyVerse on Software and Data Carpentry workshops. We will also discuss the organizational development and cultural adjustment necessary to provide these services as a unified portfolio. Elizabeth, L. C., Maxim, L., Jeremy, K., Oliver, J. C., Rebecca, H., Kent, M. P., & Prudic, K. L. (2017, November). Real time massive online citizen science biodiversity programs: Lessons from butterflies . Entomological Society of America. Denver, CO.
Prudic, K. L., Kent, M. P., Rebecca, H., Oliver, J. C., Jeremy, K., Maxim, L., & Elizabeth, L. C. (2017, November). Real time massive online citizen science biodiversity programs: Lessons from butterflies . Entomological Society of America Annual Meeting. Denver, CO.
Wallace, N. A., Feeney, M. E., & Oliver, J. C. (2017, Fall). All the News That’s Fit to Mine: Text Mining and Topic Modeling Newspaper Usage in Scholarly Literature . Digital Frontiers 2017: Exploring the Edges, Pushing the Boundaries. Denton, TX: University of North Texas. Biederstedt, E., Oliver, J. C., Hansen, N. F., Jajoo, A., Dunn, N., Olson, A., Busby, B., & Dilthey, A. T. (2018, 11). NovoGraph - Genome graph construction from multiple long-read de novo assemblies . Biological Data Science. Cold Spring Harbor, NY.